John Gamble is an experienced lawyer with more than 35 years of litigation experience. His practice focuses on employment law, business litigation and personal injury. He is licensed to practice law in Georgia, Alabama and Florida. Gamble Law LLC is located in Atlanta and serves throughout the Metro Atlanta Counties. Gamble Law LLC's practice areas include: -Business litigation -Civil litigation -Personal injury -Whistleblower litigation -Labor and employment Atlanta employment law firm Workplace legal disputes are unfortunate and can happen at any company. If you have a legal matter related to a workplace dispute or violation anything from unsafe working conditions to unpaid overtime John Gamble may be able to help. 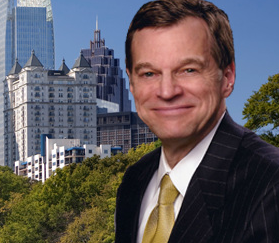 He has more than 30 years of experience handling employment law cases and has in-depth knowledge about the employment laws in Atlanta. If you feel you have suffered discrimination during the hiring process or, if discrimination based on religion, race or gender has led to your termination, you may be entitled to compensation. Contact Gamble Law LLC to schedule a consultation. Business litigation in Georgia Every business can benefit from the advice of an experienced and skilled attorney. John Gamble has been protecting the rights of business owners in Georgia for decades and is prepared to fight for you in court should the need arise. As a litigator, he can ensure that your are properly represented in court. In day-to-day business activity, he serves as a reliable adviser on the legal aspects of contracts and transactions. Experienced personal injury lawyer If you have been injured due to someone else's actions, you may be entitled to pursue compensation through the legal system. Gamble Law LLC can take legal action against the responsible parties and go to trial if a satisfactory settlement cannot be reached.